Medtronic Twin Cities Marathon, held Sunday, October 1, 2017. Minnesota Vein Center will be present at Twin Cities in Motion events connected to the Marathon including the Health & Fitness Expo and Finish Line festivities. “Contributing as a strong member of our community continues to be very important to our practice. 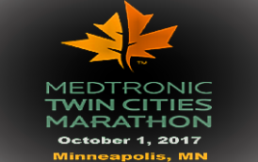 The Medtronic Twin Cities Marathon provides us, in 2017, an opportunity to participate in one of the most important yearly athletic events, as well as provide valuable information to participants about leg health, varicose veins, venous disease but also prevention and treatment. We are honored to be included in such an important event, “said Primepares Pal, MD., Minnesota’s Vein Centers’ Medical Director. Minnesota Vein Center will be at the Health & Fitness Expo (Booth 256/258) on September 29th and 30th at St. Paul’s RiverCentre. Staff from Minnesota Vein Center will distribute information about the practice as well as demonstrate digital office and procedural videos about venous disease and treatments We will also conduct two special (Garmin Watch) giveaways for attendees and we will offer on- site Free Vein Ultrasound Screenings during the Health and Fitness Expo. Staff from Minnesota Vein Center will also be present at the 2016 Medtronic Twin Cities Marathon Finish Line.